Welcome to the Community section of FitEyes.com! Here you will find a tremendous amount of information in original articles about glaucoma, numerous articles dedicated to managing your eye pressure, research and eye news, editorial content explaining self-tonometry, blogs, surveys and podcasts, and members’ reviews, posts and discussions about their experiences. The FitEyes Email Discussion Group is also a very critical component of the FitEyes community. Upon joining FitEyes you are automatically enrolled in this Email Discussion Group where the majority of members' interactions is taking place on a daily basis. Depending on your personal preferences, you can just browse through the FitEyes Email Discussion Group Archives, read through the daily Discussion Group Digest, or engage in active email communication with other Discussion Group members. To learn more about the FitEyes Email Discussion Group or about how you can better manage your Discussion Group preferences, please refer to our FAQ pages. We hope that you will take advantage of this valuable information and actively start interacting with your fellow members! The best way for you to get familiar with the FitEyes community is to start by reading our Top FitEyes Blog Posts. 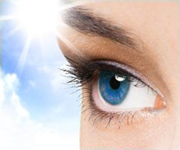 What Can We Do To Prevent Further Glaucomatous Damage To Our Eyes? Are we stuck where we were ten years ago, or is a revolution under way? Some of these articles require that you be logged in (and registered) with FitEyes.com. Why? Because in many of these articles we discuss advanced intraocular pressure research topics. We do not want anyone to mistake these discussions for medical advice. Therefore, you must tell us that you understand that this is not medical advice, and the only way you can do that is by registering and agreeing to the disclaimer and terms and conditions.